Whether considering which crops to plant, how to reduce the carbon emissions of a city’s transportation system, or whether to bring an umbrella along for the daily commute, we all interact with climate. Responding to and managing our influence on climate impacts is a major challenge for society, today and for centuries to come. Climanosco was born of the vision that we can all play a part in addressing this challenge – and that a first step towards doing so is to make the best knowledge about climate science accessible to everyone. 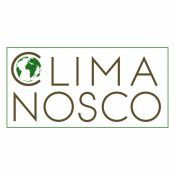 Climanosco is leading the way by publishing state-of-the-art, peer reviewed climate research articles edited for a broad audience. Founded in 2015, we are an independent non-profit association, an online library, and, most importantly, a growing community of engaged citizens and scientists from around the world. How do we make climate science accessible? Our first – and ongoing – project has been to develop an extended peer review process where scientists and citizens work together to paraphrase cutting edge research for a broad audience. Scientists choose research they would like to share and create a draft manuscript. Our volunteer reviewers work directly with authors, providing guidance and feedback for how to write in an engaging and readily understandable way. Climanosco helps research reach a wider audience by making our articles freely available via our online library and promoting content to our audience. As an independent non-profit association, we are essentially financed by donations, and we keep overhead costs as low as possible to ensure funding is used efficiently as we help open climate science to the world. Your donation will directly support two of our key projects for 2018. And it counts double thanks to this campaign’s Science Booster. 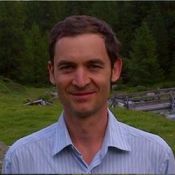 The publication of two more research collections – one on the theme of ’Climate Change and its Impacts’. Prototyping a research manuscript competition for students ages 14 to 17 in order to help deepen their understanding of climate science and engage in its communication. Student manuscripts will be revised by scientists and the students will be co-authors of the published manuscript. Creating additional materials for our online library such as videos, interviews and other interactive material. This content will complement our research articles by offering an easier entry into climate science. Communities across the globe face locality specific climate-related challenges. These communities also have access to knowledge and observations that may be useful to scientists. We are currently developing a prototype for connecting and supporting dialog between local communities and scientists in the research process and your donation would help us to take concrete steps forward in 2018 for our flagship project based in Mexico. While these are our two big goals for the new year, we have many more ideas and projects in the pipeline, and any funds we raise over our goal will go to support those. Please visit the projects page of our website to learn more (see link below). Rewards will be made available in the new year. Please visit shop.climanosco.org to learn more about the cards, shawls, music collection and fine art print. We thank you for your support.